Make a 4.25” x 5.5” base from green card stock and fold vertically. 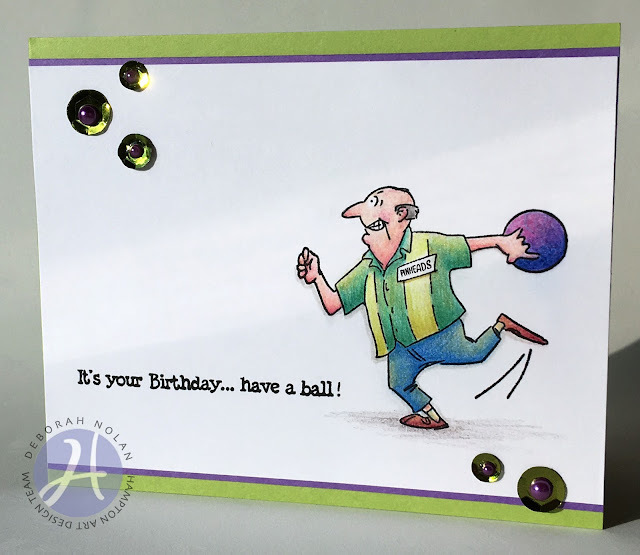 Cut white panel and purple mat; layer and adhere to card. So cute. Love the coloring, too.